It is an honour and a source of immense professional pride to sit on the Management Board of the Metropolitan Police Service, and to be the National Police Chiefs’ Council lead for counter terrorism. 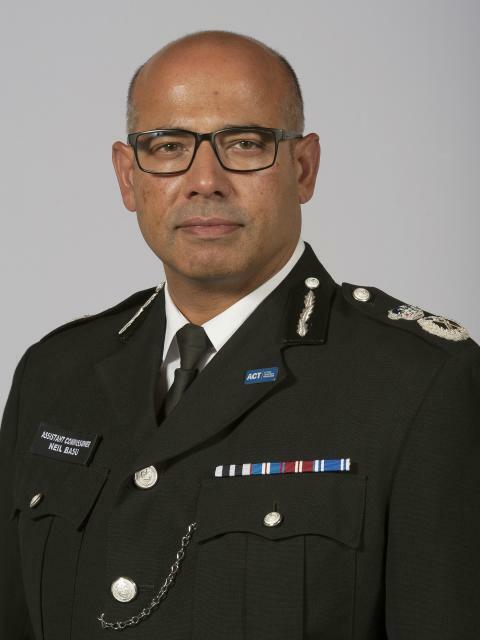 I also happen to be of mixed black and minority ethnic (BAME) and white British heritage, which means that I am the most senior BAME officer in the Met. I am very proud of that too. I never thought back in 1993, as I took my first independent patrol policing the London Marathon, that someone like me could reach such a position in the police service. I also had doubts that the organisation I had just joined would become the professional, open and caring institution it is today. I had no idea, as I watched the crowds enjoying the race, that the catalyst for a profound change in the way we policed London, would happen just 10 days later in a corner of south east London. A young black man, an aspiring architect called Stephen Lawrence, was brutally murdered in a racist attack in Eltham. It was senseless and devastating for the family. Their grief was compounded many times over by our response. Almost 26 years on, and at the latter end of my career, I - like many officers - start to think about what I might leave behind. Things such as the state of the organisation, the leaders it has created, the cases solved, the victims helped and the bad things and bad people we have stopped. I have thought about the ground-breaking work carried out by my peers and predecessors in policing and the immense good they did to improve and reform the service. But it struck me that while so much good had been done to the Met and UK policing by so many, no police officer has changed the Metropolitan Police Service as much as Stephen’s parents, Baroness Doreen Lawrence and Mr Neville Lawrence did. They relentlessly held the Met to account for its failings in the investigation of their son’s tragic murder. They made sure the inquiry led by Sir William Macpherson took place, and since then they have continued to push for change. Few inquiries have received such attention or can claim to have been so transformational by exposing inequalities so familiar to BAME communities – inequalities that exist throughout our society, but were most acutely seen through the lens of policing. It was particularly painful to be a BAME officer at that time, (less than 2 per cent of us were). For the failings of an organisation you love to be exposed so publicly was, I’m not ashamed to say, a little heart-breaking. The damning findings and recommendations of that inquiry are quite rightly well-known. But the positive outcomes deserve to be heard. Hate crime has been redefined and is now dealt with by well-trained, committed detectives, using standards and expertise borne out of the Racial and Violent Crime Task Force which hunted down racist criminals and murderers. Our front line inspectors and sergeants are now trained in critical incident procedures to improve the golden hour of response, and police first responders all now have professional emergency life-saving training. We brought in professional training for the senior investigating officers of homicide, and created the profession of family liaison to improve how we supported bereaved families. Today we are world-class, perhaps world-leading, in these areas. This professionalism and the standards we now see are a result of a just campaign by the Lawrence family and the officers they inspired to do the right thing. But, I must also agree with the Lawrence family that more – much more - still needs to be done. The key area for me is how we look and feel as an organisation. Since the time of the Inquiry in 1999 representation of BAME officers in the Met has risen from 3% to 14%. Last year 30% of our new recruits were of BAME heritage, while for next year we aim to increase this to 35%. Going forwards we are confident that we will increase our diversity further and faster. Diversity and equality training is already built into all our recruitment, selection and promotion processes, meaning that we select and promote people who understand and live these important principles, while at the same time reaching high standards of operational competence in whatever role they are being selected for. As a senior leader and Management Board member I pay the closest attention to how our processes are being designed to eliminate disproportionality or unconscious bias in our selection and promotion. I want more people from BAME backgrounds applying for, and excelling in, senior and specialist roles. The vast majority of officers in policing were not in the service when Stephen was murdered or when the Report was published. Many were not even born. This is why we must continue to teach this vital history and learn from this case, so we are not condemned to repeat the mistakes of a generation ago. 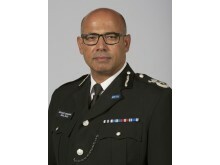 The central charge of the Inquiry was to label the Metropolitan Police Service as “Institutionally Racist” – a title that was rightly accepted by the then Commissioner to help effect the change needed. In my opinion we are not institutionally racist today. Others see it differently and we should ask ourselves why. The two most iconic areas - stop and search of young black men and the recruitment and promotion of BAME police officers - remain disproportionate. There are complex reasons for this, which should and are being debated and addressed by this current Met Management Board. I know this board and this Commissioner very well, and for many years. As a group we are committed to changing the look and feel of this organisation further, and changing as fast as we can. An organisation that is institutionally racist in its policies and processes, must logically have a Management Board endorsing such policies and processes. This is not an institutionally racist board. I know. I sit on it. I’ve known most of its members for over 20 years. If I even suspected that was the case, or if I thought my profession was institutionally racist, I would give up and resign tomorrow. Instead, I am reassured to know that my unbelievably impressive organisation is full of heroic, self-sacrificing, dedicated public servants, doing extraordinary things every day to keep us all safe. Rather than being institutionally racist I think of them as institutionally heroic. This Management Board will never give up trying to improve the police service and to improve the areas that still challenge us. Shame on us if we do. But 20 years on I would like all of society to spend a little time reflecting on its own diversity and equality journey, and ask themselves how well they think they have done and what more they might need to do. I have been asking that question pretty much every day since MacPherson published his extraordinary report on the 24th February 1999. No matter what we sometimes think, being a person of BAME heritage today is better than when my dad emigrated here from India in 1961. It’s better than when I was at school, university or first in employment through the ‘70s and ‘80s. The Stephen Lawrence Inquiry Report is a significant reason why society today is better for people who look like me. I am a very different officer from the clumsy young constable that policed that marathon 26 years ago, and this is a very different Metropolitan Police Service, policing profession, country and society. We’ve done well. We shouldn’t be disheartened. But we can do much, much more.